Earlier today we saw our first teaser of the 2015 Subaru WRX which will be unveiled next week. But now, thanks to Road & Track, it seems we've seen the whole car. This image, which leaked on the Club RZ Facebook page, appears to show the new WRX in its final form. If you've seen a Subaru WRX before, then you know what to expect here. More scoops, wider haunches, it looks angrier and rally-ier. But why isn't this reveal edition in Subaru's traditional WR Blue Mica? Why aren't there gold wheels? 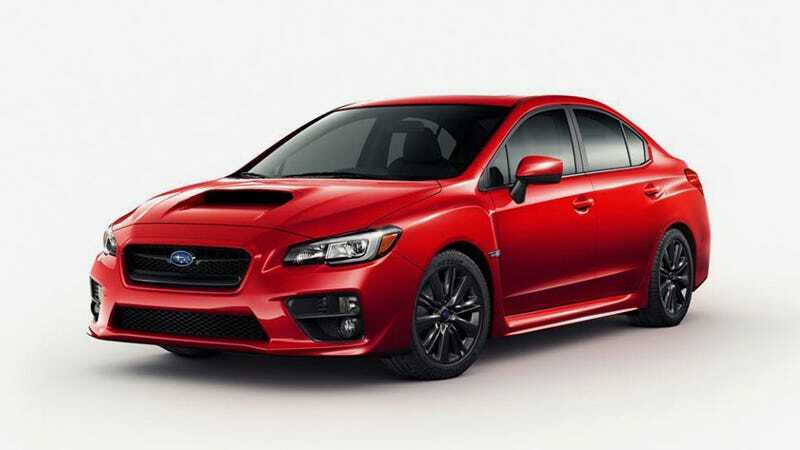 We've heard it'll be sedan-only this time, and a hi-po STI version is still to come. Still no deets on the powertrain, but it can't be long now until all the beans are spilled.